Ski resorts offer discounted lift tickets to their customers at retail locations throughout the Denver Front-Range area and I-70 corridor leading from Denver to the resorts’ Rocky Mountain locations. Previously, resorts would pre-print thousands of lift tickets and distribute them to hundreds of retailers throughout the area. These tickets, each uniquely identified with a barcode, would be placed by consignment with each retailer. This method of ticket distribution resulted in enormous costs to print and distribute the tickets. If the resort wanted to change ticket prices, new tickets would be printed and delivered to each retailer, while the old tickets would be picked up and destroyed. Additionally, since the ticket sales were consigned, and the process of settling with each retailer was significant, the resorts would not complete settlement and receive payment for the tickets until the ski season ended, sometime in May. Retailers were presented with a different set of problems with the manual method of ticket distribution. First, the retailer was responsible for the accounting of all tickets from a number of different resorts. They faced the inundating task each year of tracking all ticket sales and reconciling with each of the resorts at the end of the season. Because of the dollar value of each ticket, the number of resorts that they dealt with, and the quantity of tickets sold, the retailer would be responsible for very large inventory dollar amounts. Shrinkage, due to theft and other reasons, ran close to 5% of sales for some stores. Customer service and equipment sales also suffered from manual ticket sales. Extra personnel were required to handle ticket sales, and distracted employees from assisting other customers with equipment and rental sales. On a busy Saturday morning, some retailers would have two or more persons dedicated to just handling ticket sales. 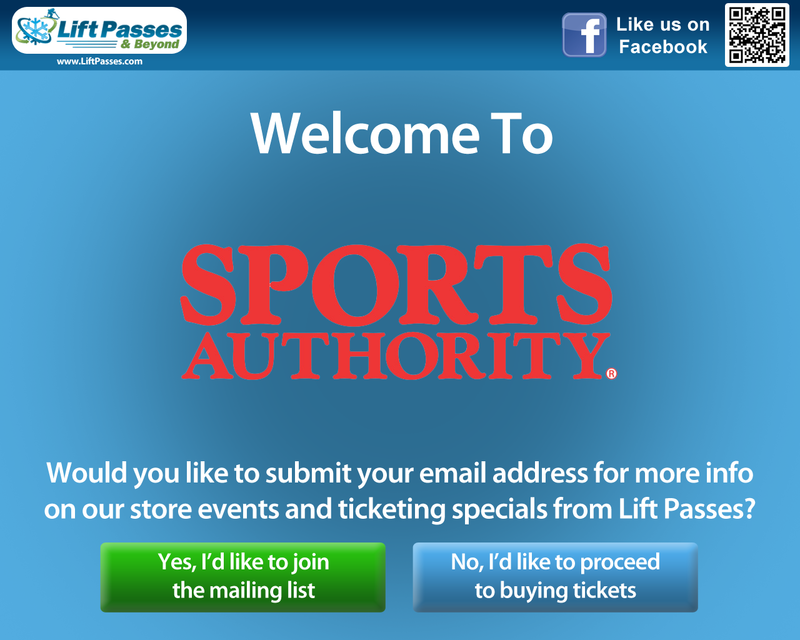 Skiers and snowboarders want to be able to buy tickets easily and get to the lifts quickly. On a busy day, it’s not unusual for a customer to have to wait in line to buy a lift ticket for more than 30 minutes at a retail store or resort ticket window. Ticket discounts, provided by the resorts, would often not reach the consumer in a timely fashion due to the effort required to print and distribute new tickets when each price reduction took place. The goal for Livewire was to develop a ticketing system based on its Enterprise Kiosk Software to solve these problems, resulting in significant benefit to all parties involved. The result… an automated lift ticketing system, with an emphasis on self-service (kiosk), to deliver on-demand product with an inexpensive and robust delivery system. 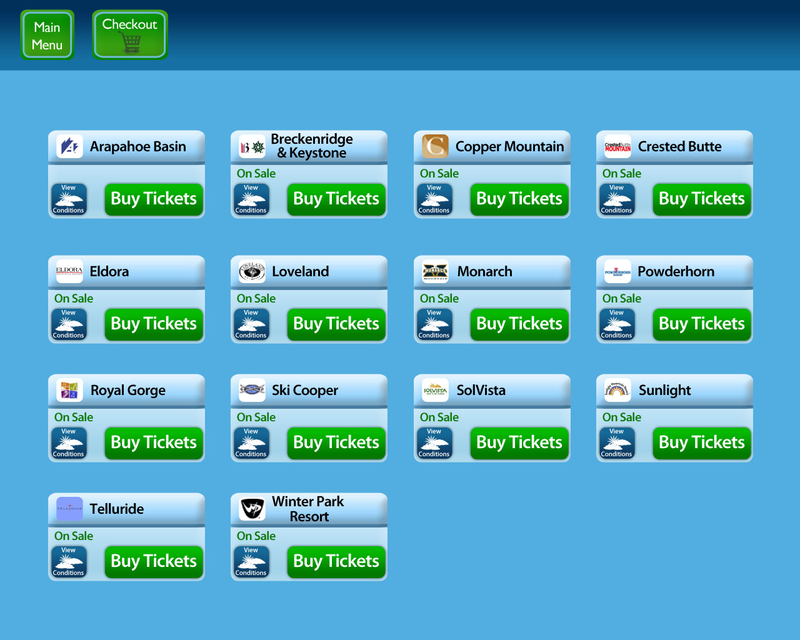 Livewire worked with the Colorado ski resorts to create a system that would allow the resorts to sell their tickets through a consignment program. Livewire’s system allows various types of tickets to be configured, with a different product mix and pricing for the various pre-established sales markets. Ticket types and prices may be updated within hours of notification. Retail stores, visitor centers, and hotels in the area have the ability to sell ski tickets through either manned POS terminals or self-service ticketing kiosks. Most retail locations have opted for the self-service devices to reduce customer wait times, and to allow their staff to focus on product sales. Resorts and retailers have the ability to view sales reports via Livewire’s real-time web-based reporting dashboard. Today, Livewire’s kiosk software powers the sales of millions of dollars worth of ski tickets annually through almost 200 retail locations.